Samara is one of the Knowing, and the Knowing do not forget. Hidden deep in the comfort and splendor of her underground city, a refuge from the menace of a coming Earth, Samara learns what she should have never known and creates a memory so terrible she cannot live with it. So she flees, to Canaan, the lost city of her ancestors, to Forget.Beckett has flown through the stars to find a dream: Canaan, the most infamous social experiment of Earth's antiquity. Beckett finds Samara in the ruins of the lost city, and uncovers so much more than he ever bargained for -- a challenge to all he's ever believed in or sworn to. When planets collide and memories clash, can Samara and Beckett save two worlds, and remember love in a place that has forgotten it?At once thought-provoking and utterly thrilling, this extraordinary companion novel to Sharon Cameron's #1 NEW YORK TIMES bestselling THE FORGETTING explores the truth and loss that lie within memory, and the bonds that hold us together. Sharon Cameron's debut novel The Dark Unwinding was awarded the Society of Children's Book Writers and Illustrators' Sue Alexander Award for Most Promising New Work and the SCBWI Crystal Kite Award, and was named a YALSA Best Fiction for Young Adults selection. 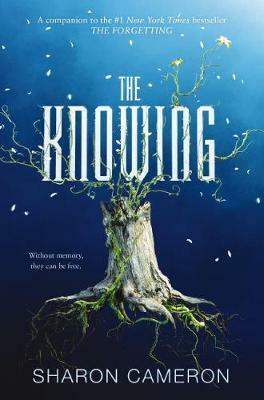 Sharon is also the author of its sequel, A Spark Unseen; Rook, which was selected as an Indiebound Indie Next List Top Ten selection, a YALSA Best Fiction for Young Adults selection, and a Parents' Choice gold medalist; and The Forgetting, an Autumn 2016 Kids' Indie Next List selection. She lives with her family in Nashville, Tennessee, and you can visit her online at sharoncameronbooks.com.